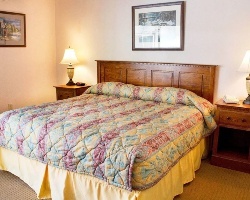 The Great Smoky Mountains offer a wealth of vacation fun, and you'll find it all at *Gatlinburg Town Square Resort*. The attractions of Gatlinburg are just a block away, or take a drive and explore the nearby mountains. Numerous trails and paths can be found easily. The resort offers an indoor and outdoor pool for year-round swimming, an exercise room, and a hot tub. The resort also offers underground parking and on-site activities, and is located near dinner theaters and other local attractions. Dollywood is only eight miles away and borders Great Smoky Mountains National Park. Gatlinburg Town Square is a 5 STAR RESORT in the heart of Gatlinburg, near the Space Needle. Great location near many of Gatlinburg's entertainment! Week 27! Buyer may receive a title fee credit, inquire for details! Enjoy scenic mountain views! Family friendly! Buyer may receive a title fee credit, inquire for details! Beautiful resort with many amenities! Only a short walk to exciting activities! Buyer may receive a title fee credit, inquire for details! 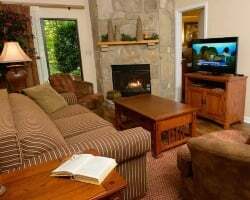 Enjoy staying close to the entertainment in Gatlinburg! Week 30! Seller is negotiable! Buyer may receive a title fee credit, inquire for details! 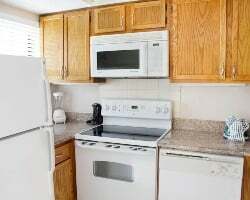 Great location that is within walking distance to shops, entertainment & more! Buyer May Receive A Title Fee Credit, Inquire For Details! 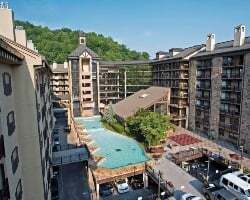 Great location near many of Gatlinburg's entertainment! Buyer May Receive A Title Fee Credit, Inquire For Details! 2 bedroom, 2 bath lockout suite! Fall foliage season! Walk to downtown Gatlinburg! Yearly usage in October week 40! Buyer may receive a title fee credit; inquire for details! Floating week of your choice at this outstanding Gatlinburg resort! Make an offer today! Buyer may receive a title fee credit, inquire for details! Great location near many of Gatlinburg's entertainment! Odd year week 12! Buyer may receive a title fee credit, inquire for details! Floating week of your choice at this outstanding Gatlinburg resort! Buyer may receive a title fee credit, inquire for details! Great resort only a short walk to exciting activities! Annual week 36! Buyer may receive a title fee credit, inquire for details! Floating week of your choice! Clear title and current maintenance fees! Buyer may receive a title fee credit, inquire for details! Enjoy the many activities available onsite and nearby! Buyer may receive a title fee credit, inquire for details!